"El Born" is an old Catalan term for "tournament," and the neighborhood is the site of old medieval jousting tournaments. If you wander from the Barri Gòtic to the El Born neighborhood, you won't encounter a big shift in atmosphere. Though El Born was mostly farmland outside the walls of the Roman town of Barcino, in medieval times it grew and prospered as wealthy sea merchants built it into a significant quarter of the city. Consequently, El Born has some of the same narrow medieval lanes and claustrophobic feel as the Barri Gòtic. Shops generally line ground floor, with flats above. In many places, not a lot of direct light squeezes down between the buildings. If it weren't for the signs overhead, you'd never know which neighborhood you were in. A mustachioed face on the wall used to be a common medieval sign indicating a brothel was nearby. But El Born is slightly less touristy. 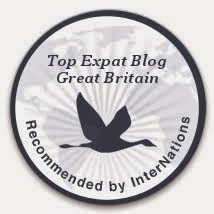 It has fewer chain stores and many more boutiques and shops where the crafts are made on site. The neighborhood hasn't been wholly preserved for centuries quite as much as the Barri Gòtic, so it's slightly more modern. El Born is a little trendier and hipper. It has more public squares and some wider avenues. A narrow alley led to a surprise -- an open square. The Passeig del Born, from which the neighborhood draws its name. The main tourist attraction in El Born is the Picasso museum. When visiting, you must have the right expectations. It has no truly significant Picasso paintings. It has virtually nothing from his Cubist style. There is very, very little from his Blue and Rose periods, as well. So, why go? Picasso's life as a painter was begun in Barcelona, and the museum has a wealth of his early (teenage) paintings. You see the genius before he revolutionized the art world. If you ever doubted Picasso could paint a realistic figure -- and not a two-nosed, three eyed, four-breasted Cubist woman -- this museum will dispel your doubts. 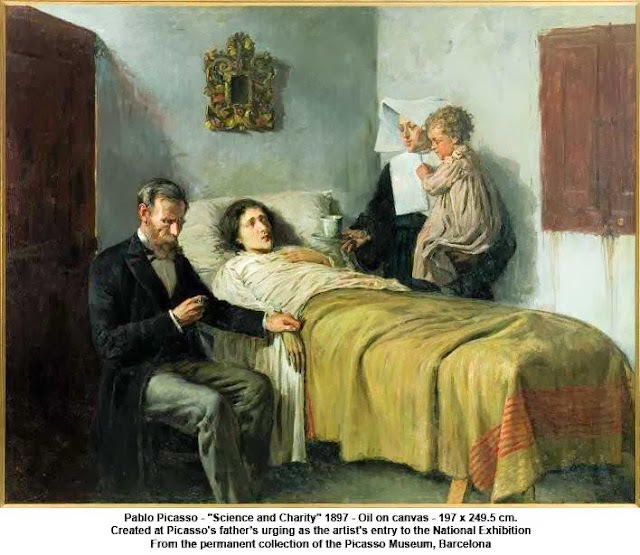 The museum also has a wealth of Picasso's late works, though it's something of a slog to go through a series of rooms where Picasso has retreated to "childlike" painting. 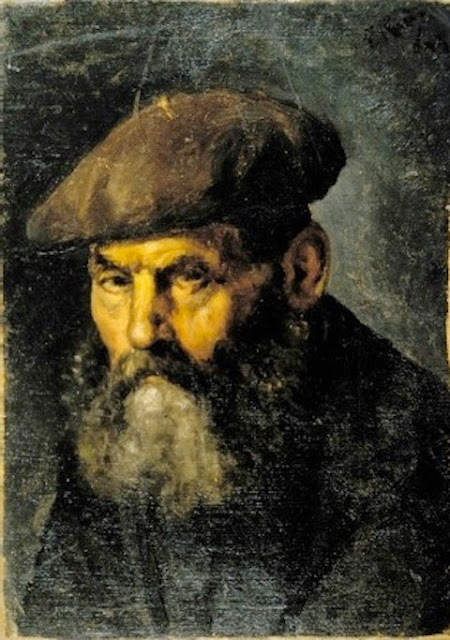 "Man in a beret," painted by Picasso at age 14. Painted at age 15. In a neat trick of perspective, the bed shortens and lengthens as you walk left and right across it. 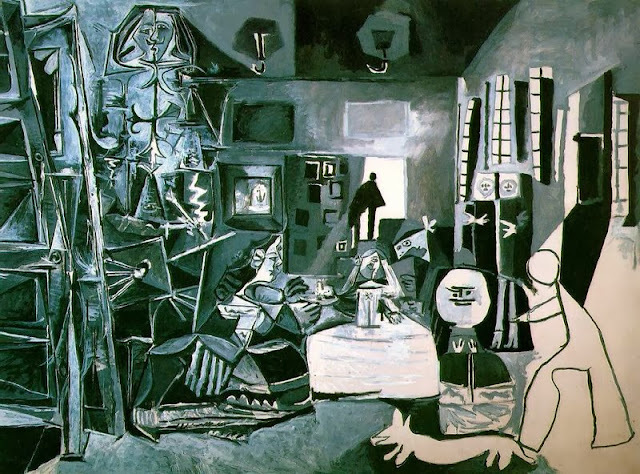 Painted in 1957, this is the first of Picasso's series of 44 reinterpretations of a 1656 painting, "Las Meninas," by Velázquez. While the Picasso Museum draws the most attention, there are other worthwhile attractions in El Born. A few blocks from the museum is the Chocolate museum (described here). At the far east end of the district is Barcelona's largest park, the Parc de la Ciutadella, and the Arc de Triomf, which celebrates the removal of the citadel that the Spanish king had put in place to oversee the rebellious Catalonians. To west of the park is the El Born Market, a steel-framed nineteenth century market just reopened in 2013, which has exposed the foundations of the medieval city below with new shops and restaurants around its perimeter. 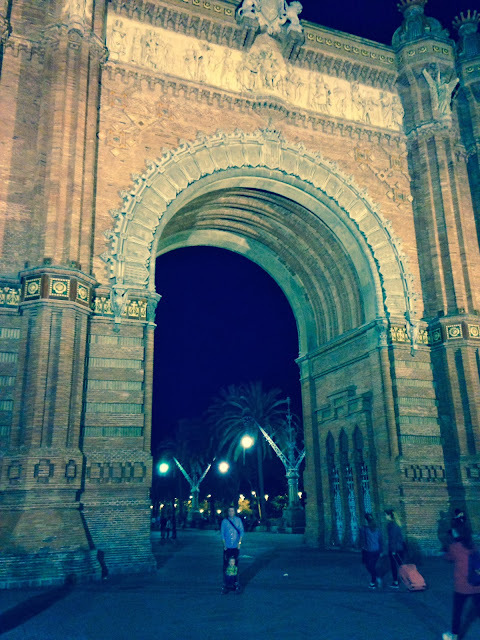 The Arc de Triomf was built in 1888 for a World Fair. Completed in 1878, the El Born Market is supposedly the largest covered city square in Europe. Exposed medieval foundations within the El Born Market. The ruins were almost, but not quite, ready to be opened to visitors. Another site of interest is the Church of Santa Maria del Mar (i.e., "of the sea"), built with great speed between 1324 (design) and 1383 (completion). Intent on showing off their wealth and power, medieval merchants and seamen built their own cathedral outside Barcelona's walls. A 2006 historical novel, Cathedral of the Sea, became an international bestseller describing its construction in the midst of the Inquisition. Since the streets of El Born crowd around the cathedral, it's hard to get a good overall impression of the exterior, but the interior is lighter and more spacious than you would guess from outside. The narrow columns of the nave, whose spreading tops give a slight impression of a treetop, were an inspiration for Antoni Gaudí's design of his Sagrada Familia cathedral. Unfortunately, other than the architectural elements, there isn't much of interest within the Church of Santa Maria del Mar. During the Spanish Civil War the communist forces burned the interior of the cathedral in retaliation of the Catholic Church supporting Franco; the ceiling is still somewhat blackened. Gothic west facade of the Church of Santa Maria del Mar. Though the cathedral isn't very tall, the slender octagonal columns give a sense of height. The long clerestory windows let in more light than is typical for a fourteenth century cathedral. Adjacent to the cathedral is the Plaça del Fossar de les Moreres ("The Burial Place of the Mulberry Trees"), which is a memorial to the fallen defenders of Barcelona who were besieged in 1714 at the end of the War of Spanish Succession. Catalonians see it as a time when their Catalan language was suppressed, the city was banned from having a university from 1720 to 1850, and many of its governmental and cultural institutions were abolished. The general view outside of Catalonia is that the winner of the war, Philip V, followed the lead of other European powers by modernizing the disparate areas of the Iberian peninsula into a Spanish nationality, centralizing government power and establishing a single language (Castilian) for the emerging nation-state. Among other things, Castilians and Aragonese were treated equally before the law for the first time since Ferdinand and Isabella married in the late 1400s. The Catalonians, however, nurse this 300 year old grievance with an eternal flame memorializing those lost during the siege. As you might expect, Catalonian independence flags (see here) abound in El Born. The Fossar de les Moreres paved over a cemetery where the fallen Barcelonans were buried. El Born also overflows with little restaurants and tapas bars. 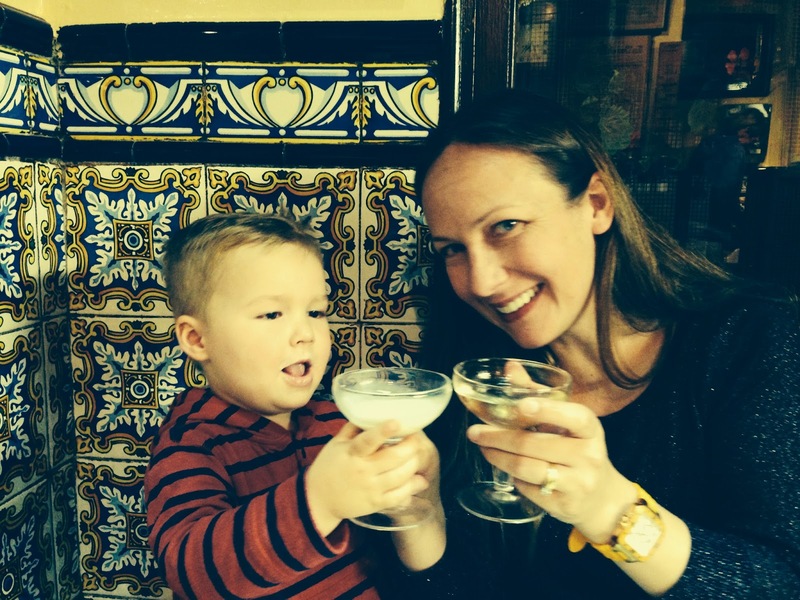 We enjoyed a fun tapas dinner squeezed into El Xampanyet ("The Little Champagne Bar"). We finished eating around 9:00 pm -- about as late as we could get our toddler to eat -- just as the locals started to replace us tourists. Milk and champagne toast at El Xampanyet. "A supreme pleasure: that of being Salvador Dalí"